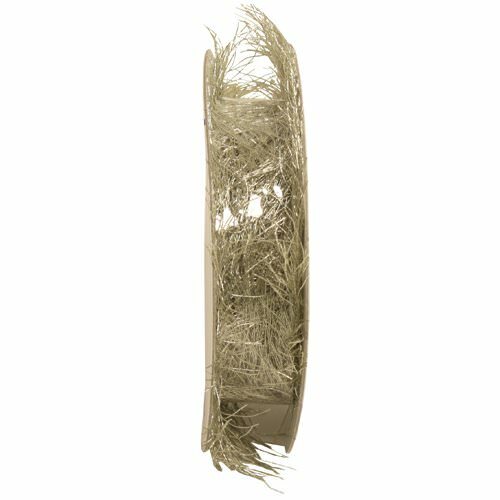 Ruffle some feathers and make a statement with our Silver Feather Ribbon. Attach this to anything and everything and make people stare with awe. This ribbon is super unique and sure to make a statement to your creativity and artistic risks. Use this ribbon for a variety of different purposes! Add it to your Mardi Gras or Halloween costumes, tie a beautiful bow around your beautiful presents or beautiful bouquet of roses, or make an awesome craft of a silver and elegant bird! Whichever way you use this, whether it's stapling your craft, taping your costume, or gluing your presents, this feather will surely hit the craft on the head - in a good way. Our Silver Feather Ribbon comes in one spool which measures out to 3 yards, perfect for that special gift for that special someone. Like the idea of a unique ribbon? Check out our other options under 'Other JAM'n Products You Might Like' in an assortment of colors!